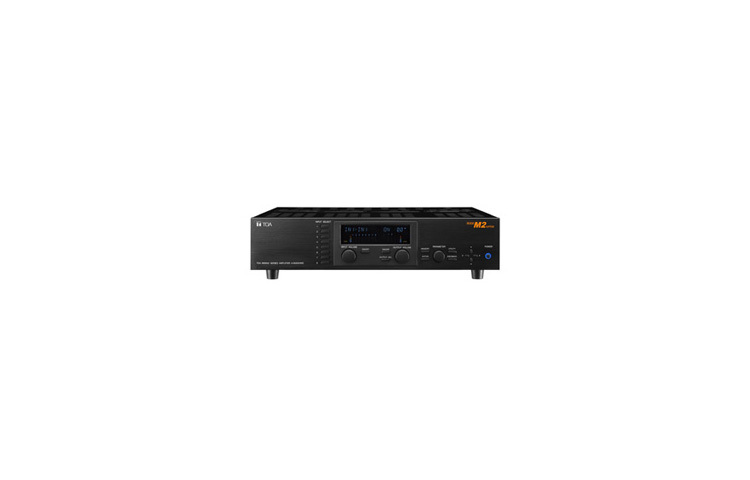 The 9000M2 Series Digital Matrix Mixer/Amplifier is ideal for a multitude of applications including audio-visual, zone paging, room combining and many more. The 9000M2 Series Digital Matrix Mixer/Amplifier is designed to be used in conjunction with optional modules and can be configured for up to 8 inputs and 8 outputs. 9000 series modules as well as existing 900 series input modules can be used. The most appropriate modules can be selected depending on applications. It is equipped with signal processing and control functions necessary for sound reinforcement, permitting all parameters to be set at the mixer. Settings data can be stored inside the unit and called up using the keys on the front panel. Paging memory (x32) contains global (static) input settings, independent Xpoint assignments, paging trigger & paging output levels for all high priority (1, 2 & 3) inputs. Mixer & Paging functions are independent and mixer (scene) settings will not affect Paging (event) functions.